Pay Your PTO Dues quick and easy using PayPal now! 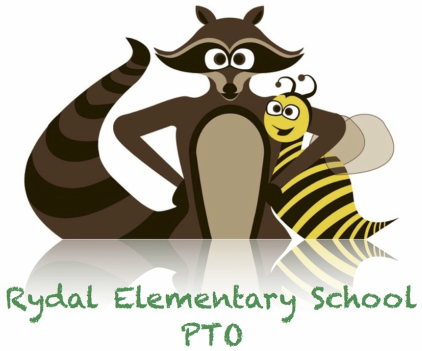 Rydal PTO spends approximately $75 per child every year for educational programs, field trip subsidies, assemblies, author visits and more! We hold several fundraisers throughout the year to raise funds and rely on parents to volunteer and participate, but we understand that not all parents have the time to dedicate to these efforts, so we're making it easier to help in a different way. 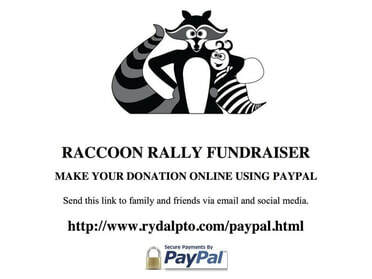 If you'd like to make a donation directly to help support the PTO, please click the link below and THANK YOU!!! Stay informed with our weekly emails! Note: Some dates on this calendar may have changed from the original district calendar that was submitted due to conflicts that have arrived since distribution. The dates on the PTO calendar, school calendar and Buzz Blast reflect the correct dates unless told otherwise in school correspondence.